Somewhere - I thought - between winter and spring. The light has begun to take on that certain quality. That one that tells me that warmer days are sitting on our doorstep. The water is still icey blue...reminding me that it's not over. Not yet. There's still more cold to come and go before we're thru. The warrior tribes have begun taking up residence...delaring territories their own. But for now - in this moment - it is quiet. The sun has only just raised its head and begun to warm the day. 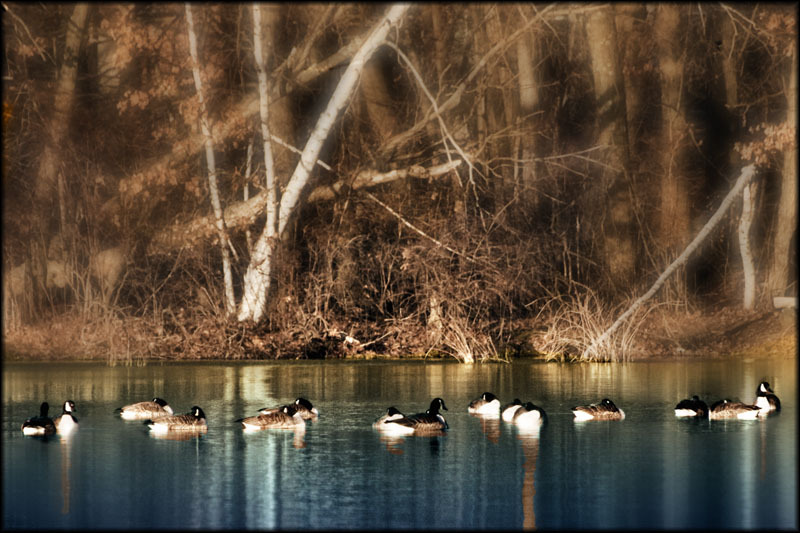 The birds..and ducks..and swans and geese - are shaking off the winter sleep...and looking towards spring.